There are many organizations that work together in order to make you experience amazing, organizations like these also have pathway programs for students, so that students do not waste their time and money. One such pathway program is AUPP (Abroad Unified Pathway Program).See, what others have put up from living down under and know more about the best pathway program in the country AUPP. Why Australia– Here’s an inside scoop on why the land down under should be on the top for study. Top-notch schools- You’re studying abroad, first and foremost to expand your horizons and learn, so it helps that out of the top 100 Universities in the world, eight of them are Australian Universities. Beaches, jungles and deserts– Australia undeniably has some of the most beautiful and diverse natural wonders in the world. From its sweeping white beaches, to the outback, to the lush forests, even if you’re not much of an outdoor explorer, studying abroad in Australia, has an incredibly diverse population of immigrants from all over the world. When studying in Australia, you will expand your worldview and make friends from all around the globe. Lifestyle– there’s a reason why it’s so popular to study in Australia-the country is known for its fun-loving, laid back lifestyle that encourages fun in the sun just as much as hard work. Australians are all about the work-life balance, from school to your future days in the office and this kind of mentality promotes a very healthy lifestyle. Business- as one of the largest economical outposts in the Pacific, with global ties to markets all around the world, Australia is the perfect place to study business. From local entrepreneurs to international trade. Information technology– learn the newest technology that the world is using and become an expert. 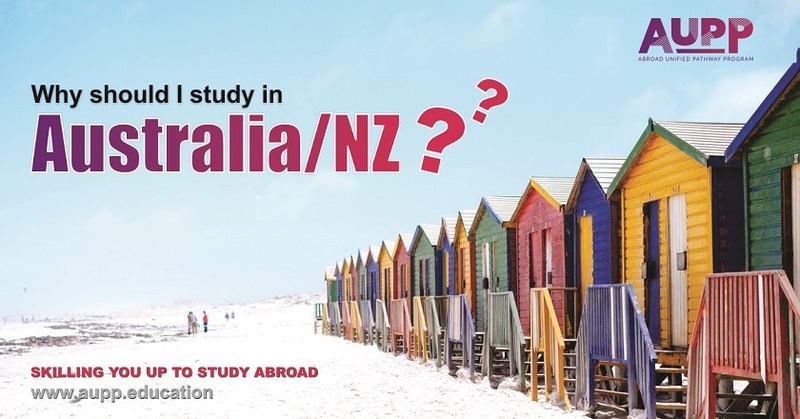 Can I work and study in Australia? At the same time? Hoping to expand your learning experience beyond the classroom? Luckily, international students can work and study abroad in Australia. It is a powerhouse of an economy and a major trade post in the Pacific. When looking at all the program application paperwork, visa applications and the long, long plane ride that it will take to get to Australia, studying in Australia may seem kind of daunting. But living and learning in such an incredibly diverse and vibrant country for a summer semester, or a year is absolutely worth the challenges you’ll face. You’ll have incredible adventures, appreciate other cultures, push your personal boundaries and most importantly learn about the world around you. So what are you waiting for? Get started today! !